In the Age of the Customer, impeccable customer service isn’t just a means of building customer loyalty; it’s also what sets you apart from the competition. Customers are demanding more knowledgeable, always-on agents to service their needs, causing representatives to wear more hats than ever. Whereas metrics like “average handle time” were once a priority in gauging service success, today’s Trailblazers are taking a hard look at something a bit harder to measure — customer relationships. According to the “State of Service” report, 70% of service teams say their strategic vision over the past 12–18 months has become more focused on creating deeper customer relationships [click to tweet]. In order to build those relationships, it takes service that’s personalized, omni-channel, and mobile. Just because customers want this trifecta doesn’t mean it’s easy for service teams to deliver. The reality is that service teams face a wide range of challenges on the road to customer centricity, including inadequate agent training, budgetary constraints, and a lack of business alignment to name a few. 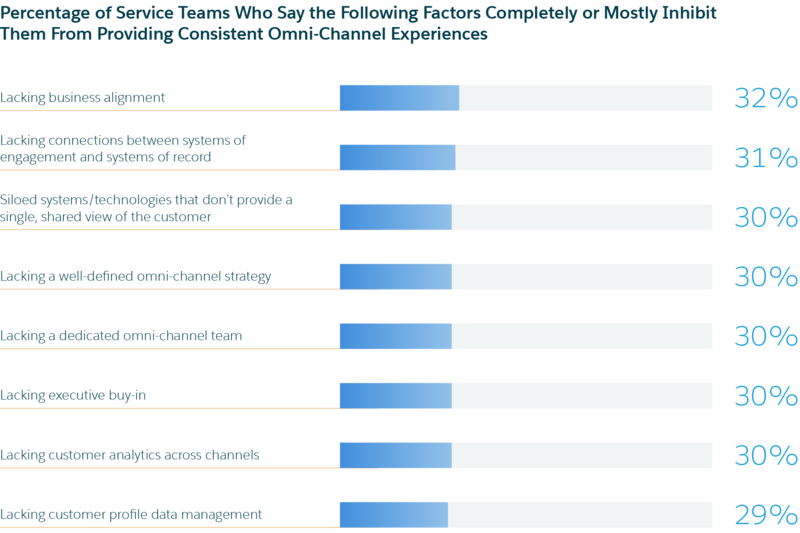 Drawing on research from the “State of Service” report, here’s a closer look at the top challenges standing between service teams and their goals of personalized, omni-channel, and mobile-first support. With all eyes on the customer experience, there’s no better way to deepen customer relationships than through personalization. But how can personalization become a priority when it seems service teams struggle just to keep their heads above water? 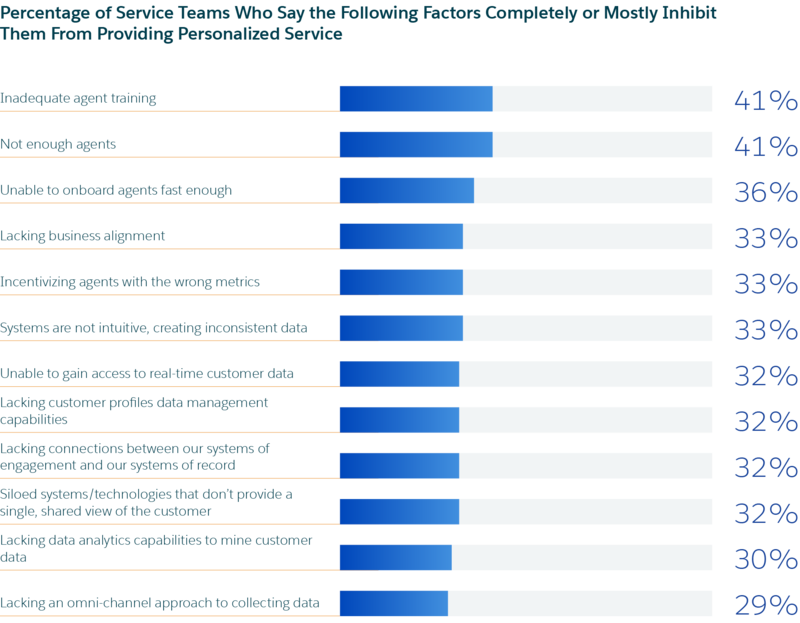 Forty-one percent of service teams say they don’t have the necessary agent training required to provide personalized service. Even if they did, the same percentage say they don’t have enough agents to adequately deliver. That means there’s a huge disconnect between what we hear about the importance of personalization and what firms are poised to provide. Without the right tools and training to deliver tailored communications and interactions, teams that fail to adapt will quickly fall to the back of the pack. In order to reach their full potential, top service teams must empower their agents with the training, tools, and decision-making power they need to succeed — at scale. Among service teams who say they have a shared, single view of the customer across departments/roles, 80% believe it empowers their agents to provide personalized experiences. At the same time, high-performing service teams have a better understanding of customers’ expectations for personalized, consistent service. That’s why 89% of high-performing service teams rate themselves as excellent or above average in the personalization department (as opposed to only 37% of underperforming teams). As the number of customer communication channels continues to increase, providing multi-channel experiences isn’t enough. The new standard is a completely omni-channel presence — one that is not only multifaceted, but cohesive throughout the entire customer journey. Self-service outlets that allow customers to find their own answers lead this growth. 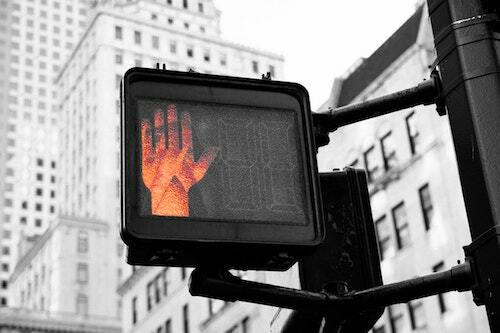 But yet again, service teams face challenges in delivering these omni-channel experiences. Thirty-two percent of service teams report that the lack of business alignment inhibits their ability to deliver a consistent omni-channel experience. 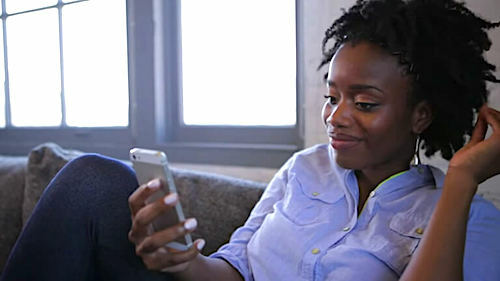 Meanwhile, nearly the same percentage of service teams say the connection between systems of engagement and systems of records are lacking, causing problems in providing a truly streamlined customer experience. Basic steps like keeping detailed customer profiles and relying on text-based communications (e.g., email, chat, and social media) for easy documentation of customer history can help — but winning at the omni-channel game takes more. A comprehensive service tool — one that provides a single view of the customer across channels — is vital to create experiences that delight your customer while also make agents’ jobs easier. Mobile service expectations are not limited to millennials. Consumers and business buyers across the generational divide are proving how crucial it is for teams to deliver service that’s equal parts real-time and ubiquitous. In fact, 60% of business buyers and 43% of consumers say it’s very important to receive in-app mobile support from the companies they do business with — and service teams are eager to respond. Already, 60% of service teams use mobile apps that allow users to contact sales, service, support, etc. while 49% provide mobile chat capabilities. Yet, budgetary constraints (41%) and lack of skilled development resources (35%) keep service teams from providing the mobile experiences customers crave. Top service teams are doubling down on strategic service investments to make way for game-changing innovation. High-performing service teams — defined in the study as those who rate their performance versus the competition (and overall service performance) as excellent — are bumping up their service budgets. Companies can’t afford to ignore or postpone adoption of a channel with as much saturation and growth as mobile. Investing in tools with a comprehensive set of features — that foster the ultimate ROI — allows service teams to focus on game-changing strategies that will set their customer experiences apart. Service is a completely different game than it was just a few years ago. As channel usage, customer expectations, and available tools continue to evolve, service teams are faced with a sea-change. Service teams must focus squarely on relationships — both with customers and team members across the company. 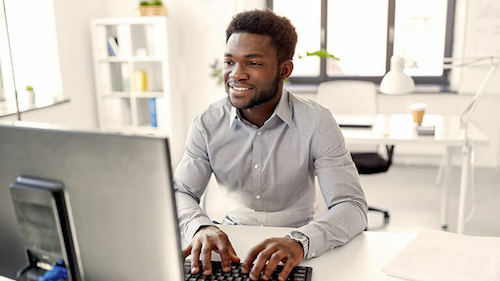 Those looking to become a top performers need to maintain an open dialogue with customers, improve collaboration across departments, empower service agents with the right tools, and invest in smarter software. Without this foundation of quality service, customers are more than willing to take their business elsewhere. 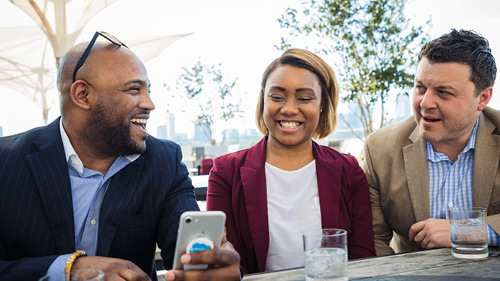 For more service industry insights, download Salesforce’s second annual “State of Service” report featuring data and trends from more than 2,600 global service professionals.